It has already been two weeks since the second One Young World Summit in Zurich, yet Sir Bob Geldof's words keep ringing in my ears “What we are living through is utter confusion. There is no leadership.” As delegates from 170 countries listened to his monumental words at the opening ceremony, the reality slowly engulfing us became more prominent, ominous and excruciatingly painful than ever before. Perhaps, that was exactly what was needed to kickstart the next three days. A rare and much needed wake-up call. 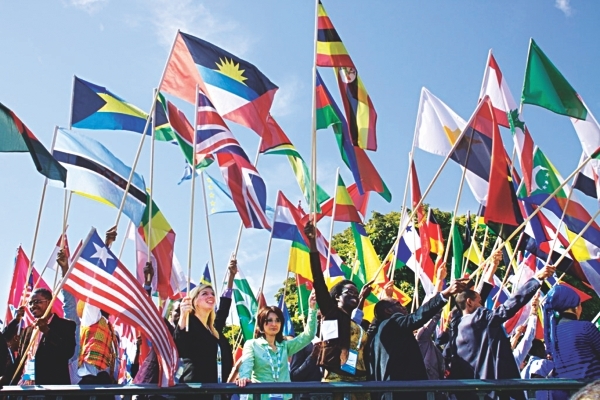 The 2010 inaugural One Young World (OYW) Summit in London presented itself as an extraordinary gathering of young people. Coined as “Young Davos”, it brought together youth leaders from countries around the world to not only engage in dialogue and deconstruction of prejudices, but also form lifelong alliances and friendships that led to sustainable and necessary actions. Having returned for its second round this year, the OYW Summit accommodated 1200 delegates from diverse religious, academic, social, political and geographical backgrounds and created what the Mayor of Zurich, Corine Mauch so aptly termed as the Global Village of Marshall McLuhan. Participants at the One Young World Summit. However, the excitement wasn't constrained within the rare opportunity of being able to interact with young people from almost every country in the world, but extended with the inclusion of counsellors who sought to engage in meaningful conversations with the delegates. This year's counsellors were amongst others Archbishop Desmond Tutu, Sir Bob Geldof, Professor Muhammad Yunus, HRH Crown Prince Haakon and Crown Princess Mette-Marit of Norway, Jamie Oliver and Fatima Bhutto. Added to the list was a stellar lineup of global business leaders, such as Graeme Sweeny (Chairman, Zero Emissions Platform and Executive Vice President, CO2 Shell International Petroleum Company Ltd.), Paul Polman (Global CEO, Unilever), Mark Lovell (CEO, A4E), Anthony Jenkins (Barclays Global Retail Banking) and Jean-Paul Agon (Chairman and CEO, L'Oreal). Day one began with introductions over coffee and in less than an hour, I had made friends from fifty countries. Conversations ranged from the famine in Somalia to the surplus in European countries, or violence in the name of religion and post 9/11 reflections. The mutterings turned to debates, debates to call for actions and actions to collaborations, all before the summit had officially begun! The morning comprised of the Global Business plenary session focusing on the importance of corporate social responsibility, now transforming to corporate human responsibility. However, the prime attraction of the day commenced with the coming of all the Counsellors and the flag bearing ceremony. As a chosen flag bearer for Bangladesh, nothing could have compared to the proud moment of walking with that patch of red on a stretch of green up to the stage and watching it being raised next to 169 countries. The real work began with days two and three. Plenary sessions, networking, fierce Q&A rounds, moving dialogues and heart thumping voting in support of the resolutions at hand. Commentary went from proliferation of the West in the name of globalisation to the right to lead a dignified life as a citizen of the world, alongside insights into places and people who have been terribly misrepresented by the international media. I learnt how many South Africans felt the FIFA World Cup did very little to the development of the region; or how rarely we gave second thought at gender imbalances. Together with my fellow global citizens, we learnt to become more responsible individuals, more driven youth ambassadors and stop blaming the corrupt system for our own shortcomings. Perhaps, that was the greatest of all the facts we learned to reflect upon ourselves in light of the world and given a rare opportunity to unlearn and relearn. 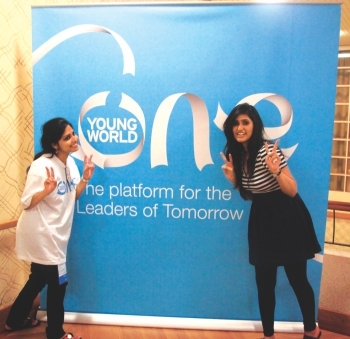 In a nutshell, the OYW Summit presented itself as an eye-opening experience. What started off as a reminder of our responsibilities towards our communities soon transformed into concrete resolutions and action plans between people, leaders and countries. We learnt to see a dream, to re-dream a world where poverty is indeed put to museums, where no child goes to bed without food, where terrorism is not synonymous to religious idealism, where political differences were not a death sentence to humanity. As each of us returned as OYW ambassadors to our home countries, we realised, more strongly than ever that our generation holds the key to change the course of history once and for all. If we haven't acted already, we must act now. This was a wake up call.